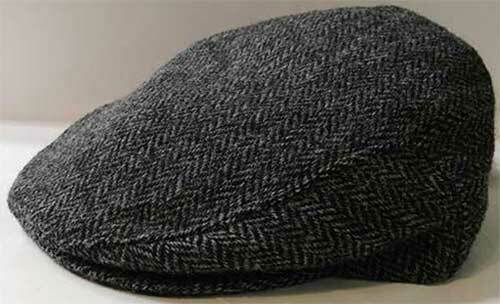 This handsome Irish flat cap from The Irish Gift House is woven from pure wool in a herringbone pattern. The gray driving cap is a traditional design with a snap brim and it is made in Ireland by John Hanly and Company. 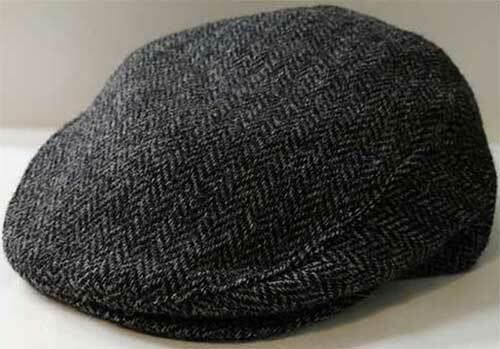 You will look smart wearing this gray herringbone Paddy cap in both casual and formal settings.